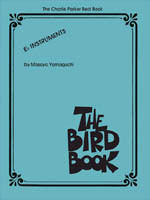 Features 57 signature songs that this bebop genius either composed or co-wrote, all in Real Book style! Includes: Anthropology Billie's Bounce (Bill's Bounce)  The Bird Bird of Paradise  Blues for Alice  Confirmation  Donna Lee  Kim  Ko Ko  Moose the Mooche  Now's the Time  Ornithology  Parker's Mood  Scrapple from the Apple  Shawnuff  Yardbird Suite  and more. All Hal Leonard Real Books feature time-tested songs in accurate arrangements in the famous easy-to-read, hand-written notation, and convenient comb binding.